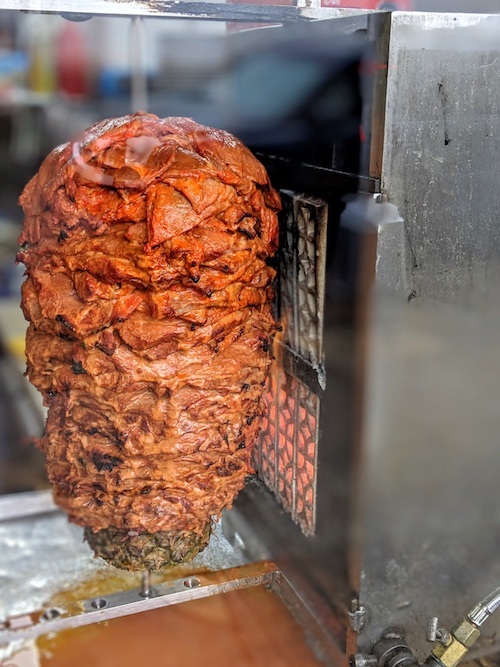 If North Jersey and New York City each submitted their 32 best to make a field of 64 for an Al Pastor March Madness, I am fairly certain that the Final Four would be all jersey trompos. 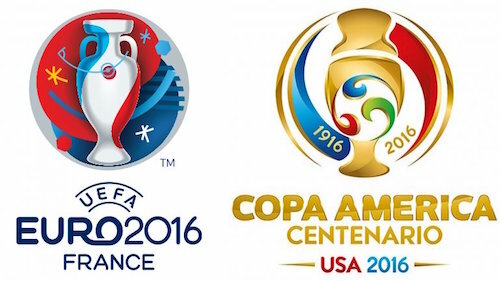 If it were a World Cup, NYC trompos would not even get past the group stage. Walk up and down Bergenline Avenue eating them and you'll know what I mean. For this reason, I slammed on the breaks when we saw the rotating beauty below at a small shop named after the small town in Puebla its owners are from. Trompos like this are hard to refuse. 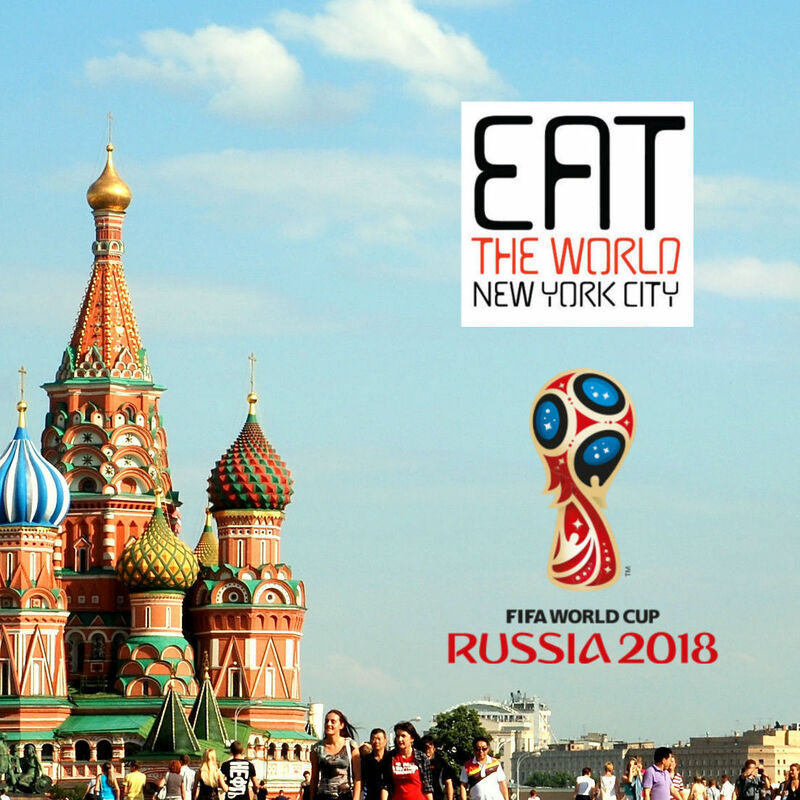 While the food here might not end up in the World Cup final, it was still a worthy opponent that probably had a surprise draw in the group stage to surprise a heavyweight. 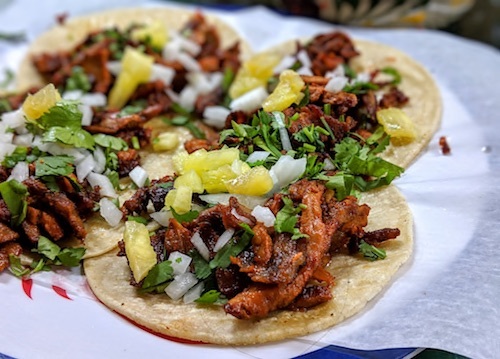 Most of their taquitos, like the al pastor below, come in groups of 4 for $8. 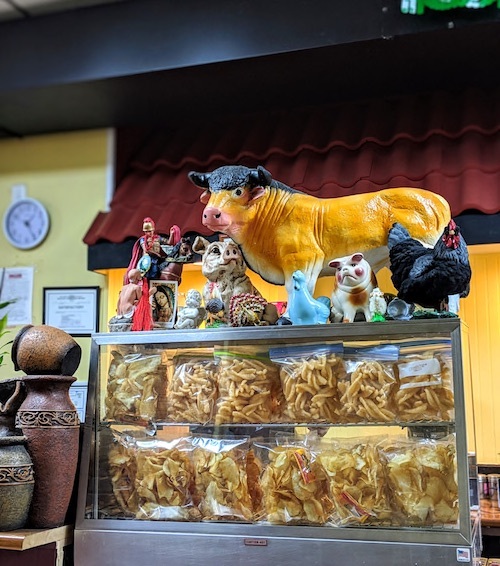 A few meats are a bit more at $10. 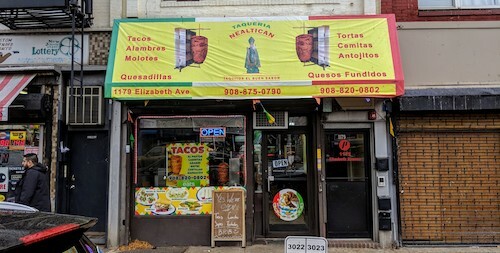 On "Taco Tuesday," an invention that usually inspires my hatred, they have chicken and al pastor taquitos for $1 apiece, but folks with big appetites should know that the limit is 16 per person. 16! The other popular item here with many different versions is the alambre, a mixed dish of grilled meats, vegetables, and cheese. These come served on a plate with a side of tortillas. I will have to enjoy this dish from the Pueblan owners next time.